The French MotoGP rider Randy de Puniet has been spending a fair bit of time in Australia lately. So when he needed a bike to get around Sydney, he gave Deus a call. 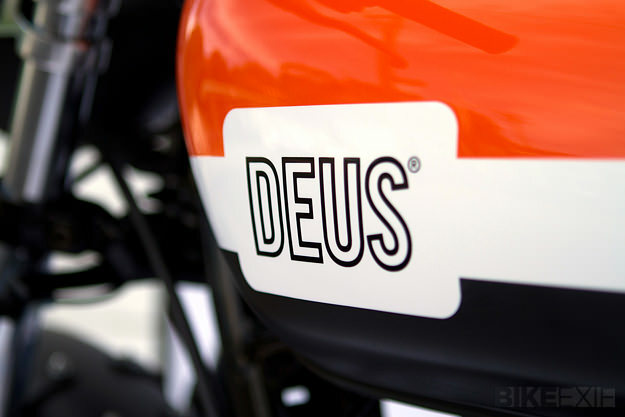 “Randy’s design brief was for a middleweight, 2-up twin,” says Deus creative director Carby Tuckwell. 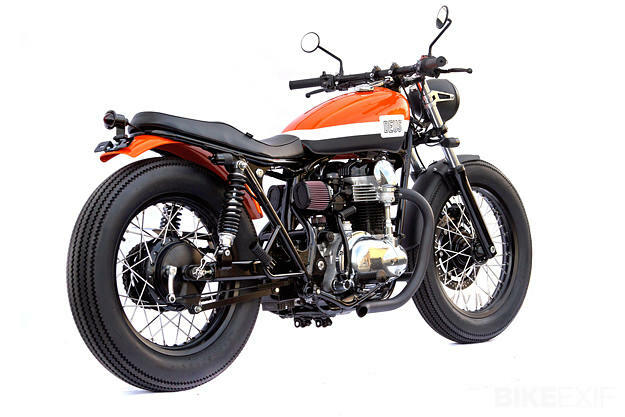 “Easy enough to kick around the city, and with enough legs for out of town.” Deus’ head wrench Jeremy Tagand is also French, so this custom Kawasaki W650 has been dubbed The French Connection. It’s been lowered at both ends, and the rims and hubs have been given a film of black satin paint to accentuate the big-tired look. 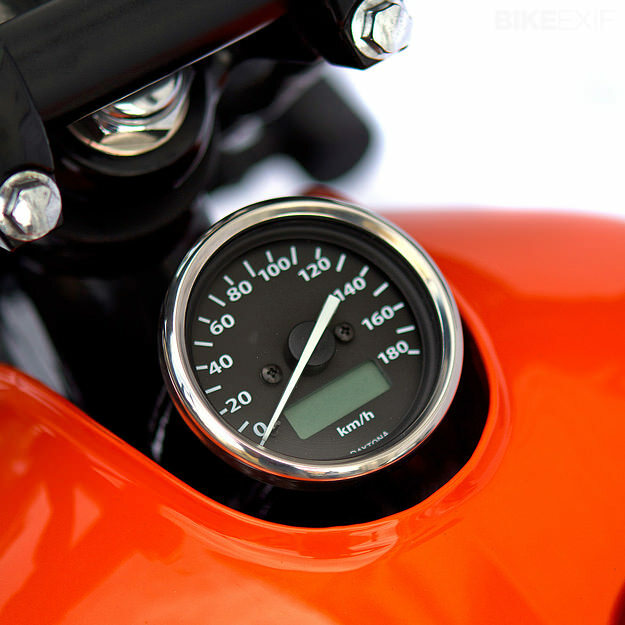 The tank is from an SR500, with a simple Daytona speedometer tucked into the front cut-out; a vintage-style headlight supports the tachometer. 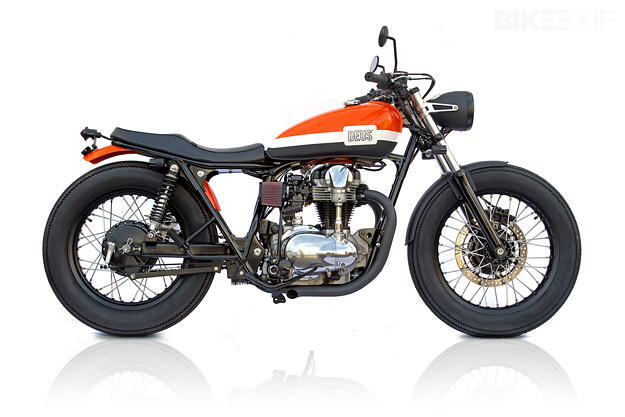 With the air box gone, this W650 breathes in through K&N filters, and out via a custom 2-into-2 exhaust system. 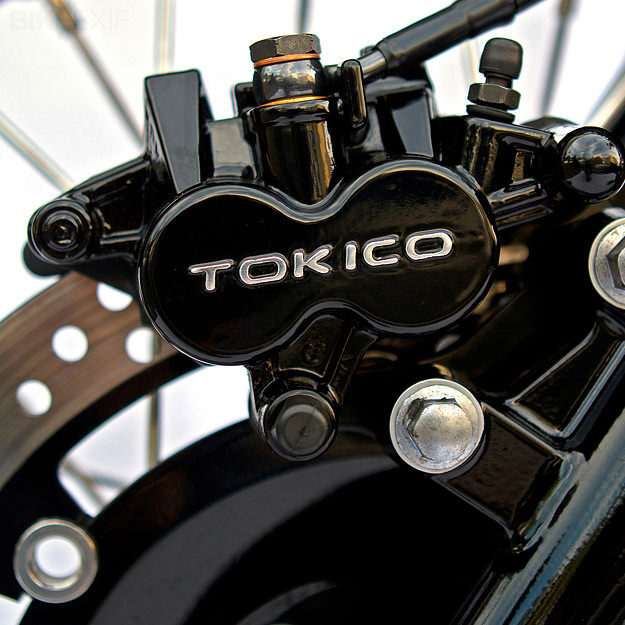 To add to the old school look, the fork legs were swapped over and the Tokico caliper positioned on the lefthand side. The forks themselves have been upgraded with higher-performance internals, and Ikon shocks keep the back end planted. 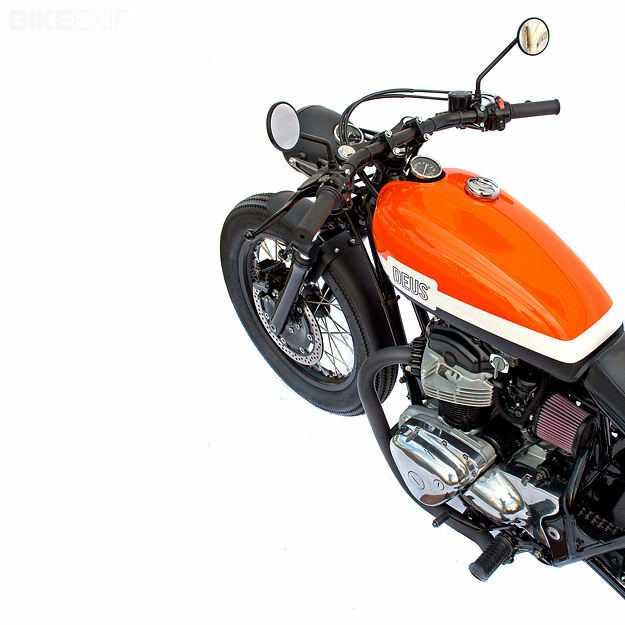 The front and rear fenders are custom, and the whole shebang is finished off in a hard-hitting orange, black and white paintjob. 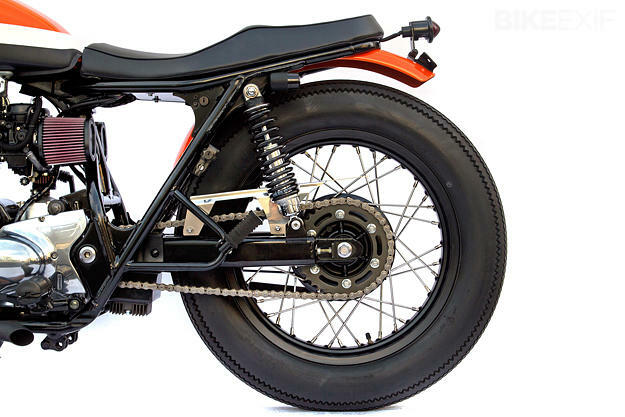 It certainly looks the business—and with de Puniet on board, should be a match for much bigger machines around the city streets.